Revel in a new level of freedom with your UOB PRVI Miles Card. Be it for bill payments such as income/property tax, a home makeover or any occasion when card payment is unavailable. 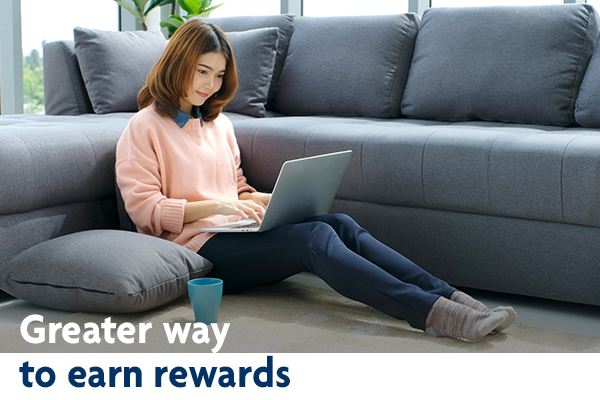 You can now do so with our exclusive UOB PRVI Miles Payment Facility*. With this payment facility, your approved amount will earn you 1 mile for every S$1 charged with a one-time administration fee of 2.1% for one-time payment. Note: With effect from 15 March 2019, UOB PRVI Miles Payment Facility will only have the option to charge the requested amount as a one-time payment with a one-time administration fee of 2.1%. For assistance, please contact us at 1800 222 2121.